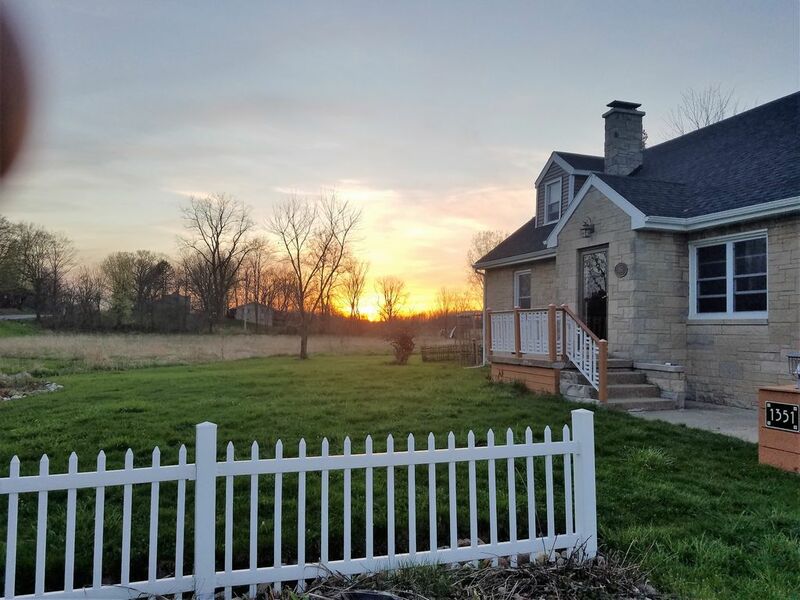 Cute, charming, clean, totally renovated farmhouse situated on 15 private acres in the middle of peaceful Michigan wine country. 10-15 minutes from multiple beaches and St. Joseph. Come enjoy a country setting within 5 miles of the best wineries, breweries, and beaches! Fenced in back yard area, perfect for pets and kids :) Patio furniture and grill ready. Bachelorette party? Family getaway? Romantic Couples Weekend? This is your place!! This is our home, so only respectful groups please! Fully renovated farm house with 4 bedrooms and 2.5 baths surrounded by vineyards... peaceful, calm, spacious! Heated Floors in both Full bathrooms!!! Two benches around dinign table sits 4 comfortably, 2 additional stools from kitchen area can be added to seat 6 total. We had a wonderful time staying in this charming home, the location is perfect if you are planning on exploring the wine trail. Everything was clean and well kept. We thoroughly enjoyed this home that has been beautifully remodeled and is out in the country, so very private. Everything we needed was provided, all we had to do was bring our food. One suggestion my cousins asked me to make would be for those of us a little older. We still read books at night and so nightstands with lamps in all bedrooms would be a good idea for our generation. Just a thought! Very cute home away from home. Everything was in great condition. The decor is very cute and cozy. Plenty of room for 7 adults. We expressed concerns about not having an ironing board and the owner made sure to have one for our stay. The entire home was very clean and well cared for. Definitely would recommend staying here! We enjoyed ourselves however i would recommend cable tv, iron and iron board. I would also suggest removing all the food items from the fridge and freezer as we were limited for space. In the heart of wouthwest Michigan wine country!